A while ago I travelled with a donor to review an MLE related project in North East India. Her concern was that our efforts to develop the local languages and use them in the schools would encourage the ethnic conflicts. 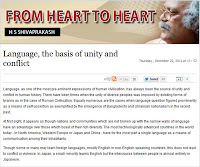 Today I saw an IBN article titled "Language, the basis of unity and conflict" by Prof H S Shivaprakash on this very issue. Language, as one of the most pre-eminent expressions of human civilisation, has always been the source of unity and conflict in human history. There have been times when the unity of diverse peoples was imposed by existing forms of tyranny as in the case of Roman Civilisation. 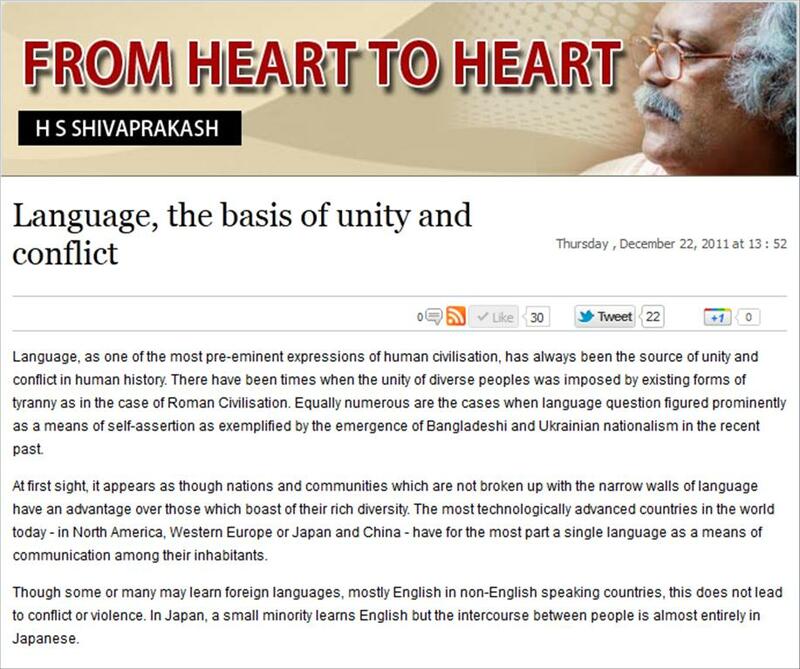 Equally numerous are the cases when language question figured prominently as a means of self-assertion as exemplified by the emergence of Bangladeshi and Ukrainian nationalism in the recent past. India never had the counterpart of the first Chinese emperor [who wiped out all local languages -KvR]. 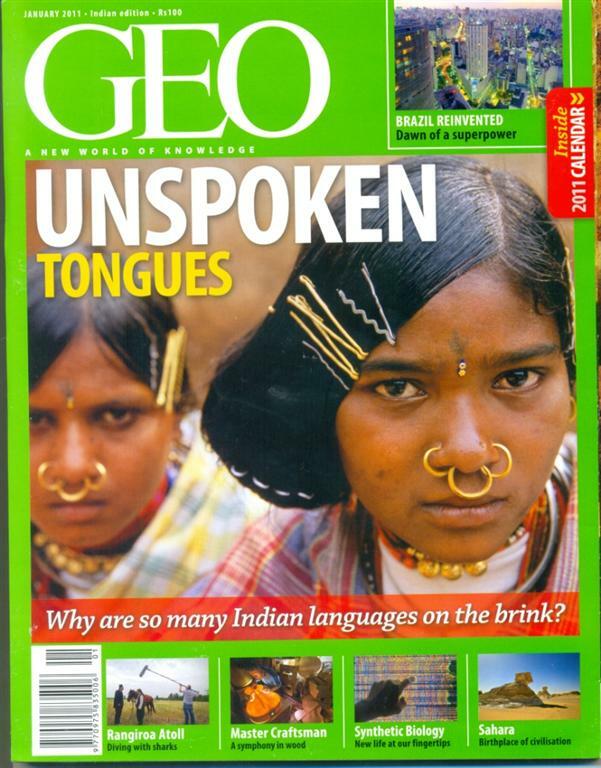 Though at different points of time, some languages were used as lingua franca or trans-regional languages - Sanskrit, for example - the regional languages, including innumerable tribal languages without script not only did not vanish but went on flourishing as they produced high quality literary expressions, both oral and written. 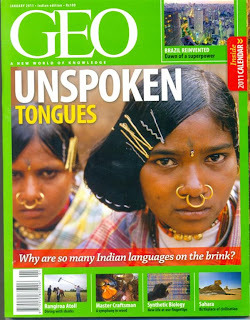 Let us celebrate the diversity of our tongues, which is a hallmark of our civilisational genius. In order to offset eruptions of linguistic chauvinism, we need to reinvigorate multilingualism which has been an integral part of our culture. At the same time, we need to emphasise the need for equal growth of regions and communities to ensure the equality of languages. Once again the JNU National Multilingual Education Resource Consortium (NMRC) has brought out a high quality newsletter. The main topic is the outcome of a longitudinal research spanning over the last three years done in Orissa and AP: "DOES MLE WORK IN ANDHRA PRADESH & ODISHA? A LONGITUDINAL STUDY"
The table attached shows some relevant findings too. It would be interesting to connect this data to drop-out rates too. "The MLE documentation centre will: provide necessary academic and research support to optimize multi-pronged engagement in providing quality MLE in Nepal; guidance for planning and implementation of MLE programmes; coordination between different MLE activities providing documentation and information resources; networking of various MLE interest groups, institutions and individuals; and establishing linkages to optimize effective utilization of expertise and materials for MLE programmes." "It is expected that with the support of the MoE, the MLE resource centre at CERID will contribute to developing satellites of MLE resource centres across Nepal." "Though various studies have shown that children learn better when taught basic concepts in their mother tongue before attempting to master a second language, India prioritizes just 22 out of the 900-odd languages that Devy seeks to catalogue, and the state's promised free and compulsory education is most often available in fewer still. 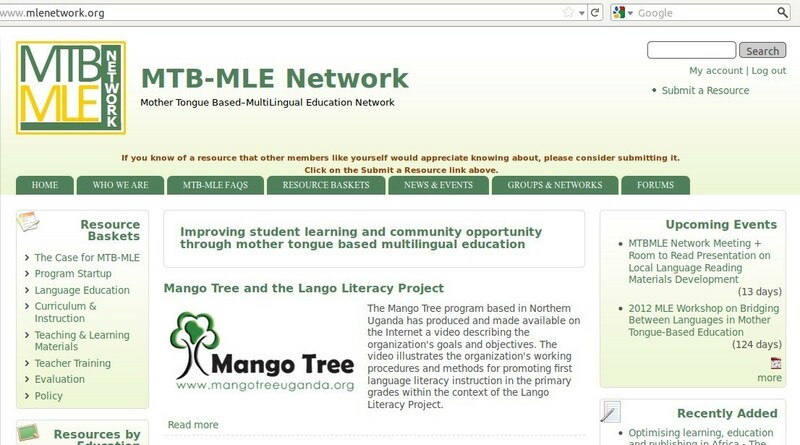 A good transition from the local language to the dominant language is crucial for a good MLE programme. Below is given your chance to learn more about it and plan for a good transition process. The National Multilingual Education Resource Consortium (NMRC) just published an excellent overview of MLE related resources in India. It gives a brief description for each items and a snapshot picture. There is also a list with names of experts. Worth looking at! Link: http://www.nmrc-jnu.org/nmrc_img/Resources%20for%20Multilingual%20Education%20in%20India.pdf. The table of content is copied below. The British Council has recently published a collection of papers examining the relationship between language and development. The book, 'Dreams and Realities : Developing Countries and the English Language', can be downloaded at http://www.teachingenglish.org.uk/transform/books/dreams-realities-developing-countries-english-language . There is also a paper on India in this collection titled: 4. Language policy in education and the role of English in India: From library language to language of empowerment. It has lots of interesting information on the use of the majority languages in the classrooms, but has no references to the issue of minority languages and the projects in mother tongue based multilingual education. Anybody likes to challenge the publishers on that? The study will review the government’s commitment towards multilingual education, analyse the current practices and impacts on children’s performance, and evaluate the attitudes of education authorities and parents towards multilingual education. Several people asked what kind of courses are offered related to MLE. Therefore a page has been added to the MLE-India blog with a list of MLE related courses and events. Today, 21 February, CfBT releases new research to coincide with International Mother Tongue Language Day. The research, undertaken with Save the Children, examines how multilingual education in Africa, Asia and Latin America can be made possible. The research focuses on two well-developed multi-lingual education projects run by Save the Children with local partners in Vietnam and Bangladesh as well as material from government-led projects in Andhra Pradesh and Orissa in India. [MLE] Today is Mother Language Day! Enjoy this day, talk about it will colleagues and celebrate your own Mother Tongue! Some state governments take the language of instruction issue of the Right to Education Act quite seriously. According to the Hindi newspaper Amar Ujala the Himachal Pradesh government has decided to have the teachers use the local languages in teaching the different subjects in the schools. If this is indeed going to get implemented that would be very innovative. 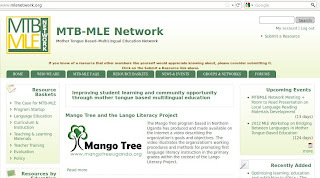 The MLE-india.blogspot.com site now has a separate page on MLE related books and articles. Check it out and let us know if relevant publications are missing.